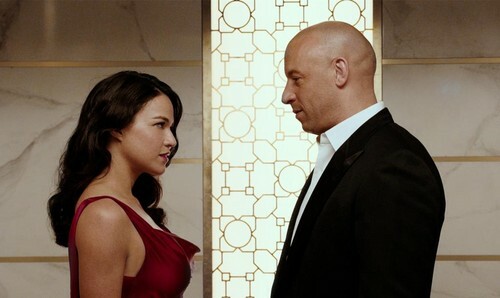 Furious 7 - Letty and Dom. . HD Wallpaper and background images in the Fast and Furious club tagged: photo fast and furious 7 furious 7 2015 still michelle rodriguez vin diesel letty ortiz dom toretto. This Fast and Furious photo might contain business suit.